And so, the academic year 2017-2018 has started. The induction week was a big success and the students were involved in several activities: they had a tour around Amsterdam and its museums, they created decorative embroidery hoops on the theme “what does fashion mean to you?” and finally developed a critical analysis based on the exhibitions visited. Through the induction week, we wanted the students to get to know each other and feel at home from the very beginning, while we aimed to help the 2nd and 3rd year students to settle down after summer holidays. “I immediately felt like home”, 1st year student Phillip Roessen says. “The induction week was such a warm and welcoming experience!”, 1st year student Frederique Hofman adds. “Not only did we get to know Amsterdam, but also bond with everyone from the other classes”. After one week, we can then say: mission accomplished! On Monday, courses started and students are livening up our new boutique academy. We love seeing them working around the four floors of our elegant townhouse in Amsterdam’s city centre. To celebrate this new chapter, we asked some of our lecturers to send a message to the students, which you can read in the image below. This year, our lecturers team has some new entries with people who will bring to our international fashion academy more ideas, new points of view and innovative visions. 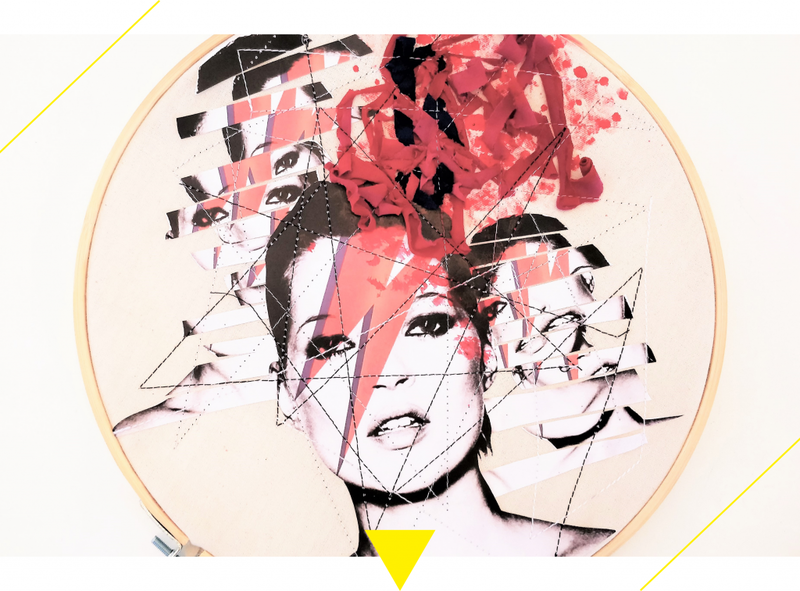 We can’t wait to see what fashion business and fashion with textile design students will create under our experienced teachers. 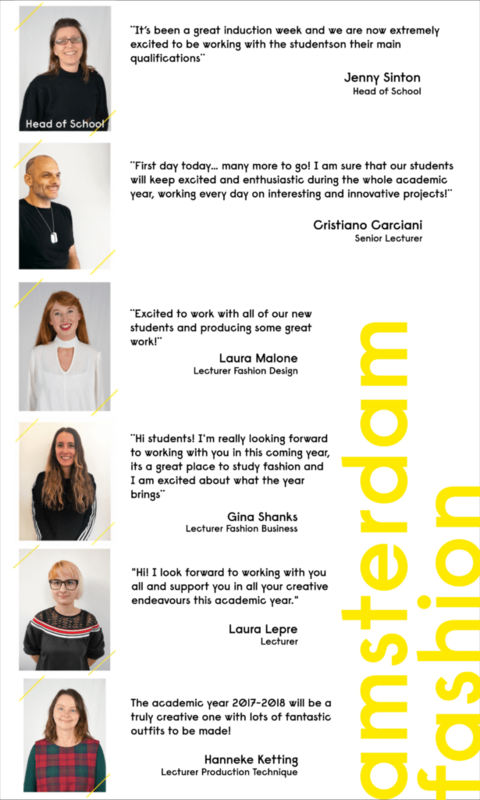 Keep following the Amsterdam Fashion Academy on social media and this blog: amazing projects are on the way!